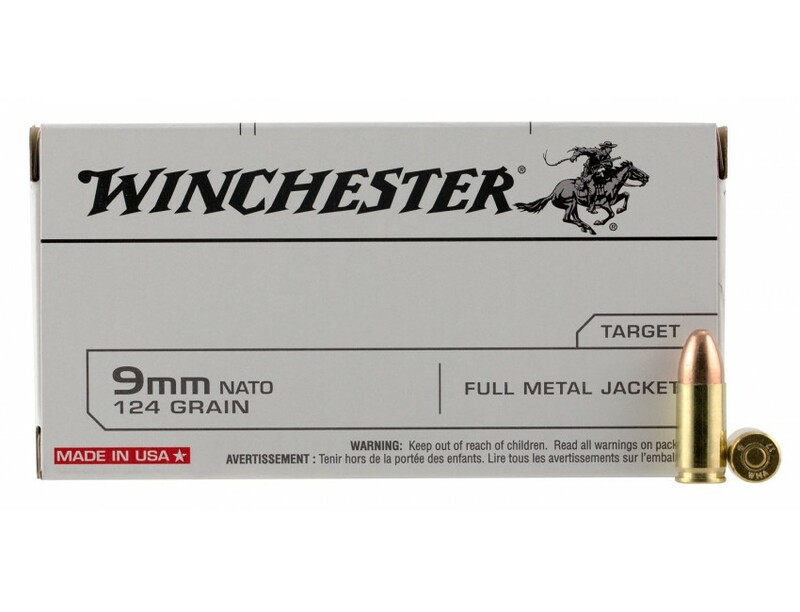 Winchester USA Handgun Ammo for Hunting/Target. 9mm NATO, 124 GR, Full Metal Jacket. Box price, 50 Rounds/Box.